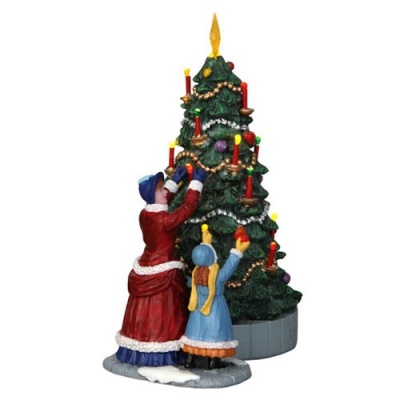 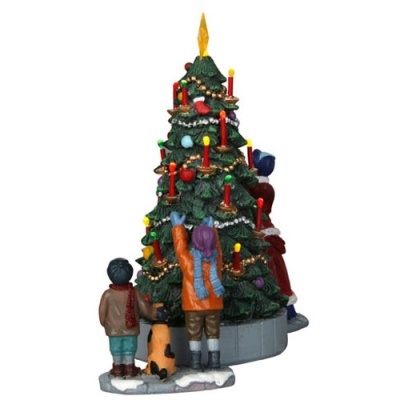 Lemax The Village Tree - Table Accent- Set of 3 depicts a dickensian family celebrating the lighting up of their newly decorated real outdoor village Christmas tree . 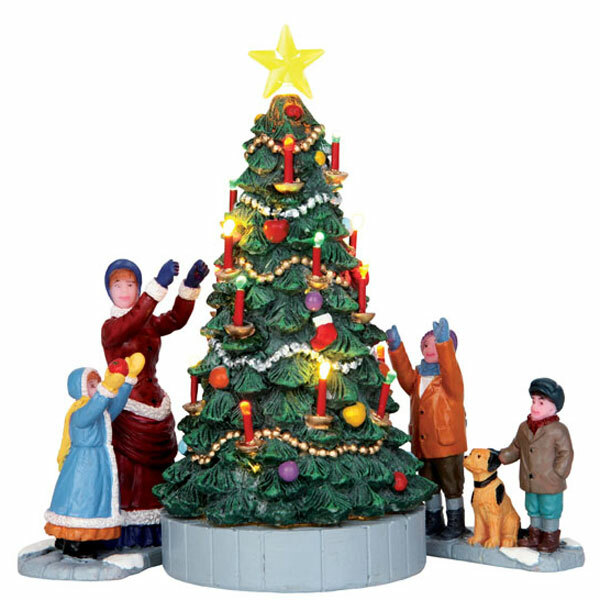 A delightful battery operated illuminated miniature Lemax table piece with lighting that compliments your Christmas village display. 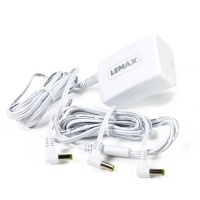 Scaled and themed for placement in and amongst your Lemax Caddington themed scene. 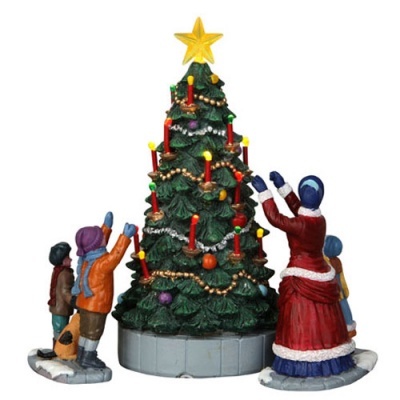 Multiple polyresin figurine pieces placed on two snowed street bases surround the centrepiece Village Tree on it's own individual base. The Village Tree table piece recently joined the growing Lemax Caddington Village collection in 2014.